¿Cómo está? | A balanced diet . . .
Steph and I enjoyed our 2016 visit to the Twin Cities in Minnesota. The weather was great, and since we had the daily use of a car, we could visit several places that are on our favourites list. Among these was Como Park Zoo & Conservatory, that lies a couple of miles north of I-94 on Lexington Parkway in St Paul. 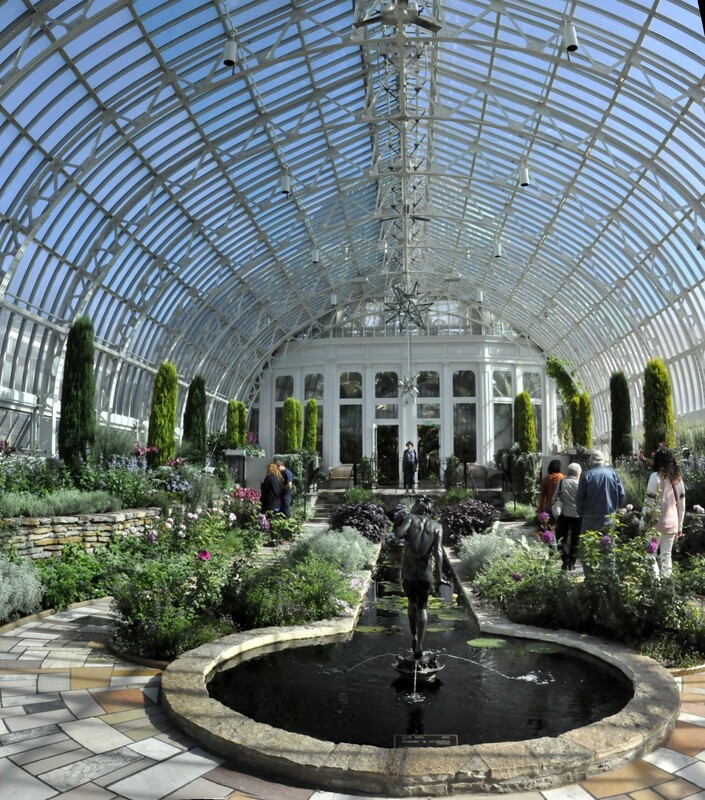 We’ve visited Como Park for many years, especially its beautiful Marjorie McNeely Conservatory. In May 2006, our elder daughter Hannah married Michael in a lovely ceremony conducted in the Sunken Garden wing of the Conservatory where the most wonderful floral displays are planted throughout the year. We’ve visited in the Spring, mid-Summer, early Fall, and in the depths of Winter when we spent Christmas with Hannah and Michael in 2007. I placed a few photos from these visits in a story I posted last November. On our recent visit three weeks ago to Como we were pleased to see that several changes had been made to the Conservatory since our last visit. The planting was much more subtle this time, light pinks, blues and mauves in general. But always that sense that the gardeners had thought things through very carefully. And as you enter the Conservatory you are greeted by a heady atmosphere of the most beautifully scented blossoms. Outside the Conservatory are the Ordway Gardens, a collection of bonsai specimens and a Japanese garden. The Conservatory was built in 1915, and to celebrate its centennial a water garden was constructed outside the entrance to the visitor center. What a beautiful addition to a special place! Having taken in all that the Conservatory had to offer, we had a very welcome cup of coffee in the visitor center, then headed off into the zoo. Many of the animals were taking a midday nap, but we did get to see the orangutans, giraffes, and flamingos. So, if you ever find yourself in the Twin Cities, and have a few hours free—whatever the Minnesota weather—do visit Como Park and breathe in the botanical displays of the Marjorie McNeely Conservatory. You won’t be disappointed. This entry was posted in Out and about, Travel and tagged Como Park Zoo & Conservatory, Minnesota, St Paul, Twin Cities.